Last month was the 25th anniversary of the dissolution of the Soviet Union, marking the end of the Cold War. Just a few years earlier, it seemed unfathomable that a world superpower would simply disband. And yet, the USSR was destined to lose its confrontation with the U.S. despite having more nuclear weapons, being first in space, having a larger army, and sitting on a much bigger cache of natural resources. The reason was the insurmountable American lead in innovation. . . . The reason we out-innovated the USSR is rooted in the American system that treats inventions as any other property, subject to the full protection of the law. . . . [In the US,] the government doesn’t guarantee any return to the inventor. . . . [And] Inventors achieve commercial success either because their inventions are marketed directly to mass consumers or because they are adopted by various companies. Those inventors who do not find a market niche have to go back to the drawing board. This process ensures a constant stream of real innovation — one that benefits real consumers. . . . A strong patent system is vital to ensuring continued economic flourishing. G.Dolin is correct in many ways. The major problem with his analysis is the way that he focuses solely on the patent system motivating individual inventors. Although such motivation exists, in the US and around the world, the patent system is primarily used by corporate entities with few inventors receiving substantial upside value of their inventions. Rather, as in Russia, invention is part of the job description of many engineers and those engineers usually receive only a token for their successes rather than a share of the resulting profits. Lincoln said the patent system adds to fuel of interest to the fire of genius. The fire of genius comes from the inventor. The fuel if interest comes from the investor, whether that is a rich uncle, a VC, or Wall Street. The money is added to the idea only because the money expects a return made possible by exclusivity. Take away the exclusivity and you get less investment in new inventions. Dennis, big companies must improve technology or else they go out of business, their markets taken over by competitors. There patents are necessary only to protect market access. Patents are important to the individual inventor, the startup, or to the University licensing program, and to drug and other chemical companies whose products cannot so easily be replaced by equivalents. To the extent that the AIA rigged the system in favor of big business and against the startup, etc., the AIA did major, major damage to the American patent system, to American innovation and to the American economy and to its people. “Dennis, big companies must improve technology or else they go out of business, their markets taken over by competitors. There patents are necessary only to protect market access.“. Big companies have all types of competitive advantages outside of innovation – and can afford to make the patent system into a sport of kings while sowing its destruction. You’ve no evidence that the AIA “rigged the system” against the start-up, no evidence that American innovation has been affected at all, and no evidence that the American economy was negatively impacted. All the available evidence would suggest otherwise. There is some evidence that junk patents are easier to tank. And prior to that there was a lot of evidence that the patent system was imploding. Oddly enough, the people who were most opposed to the AIA were and are the same people who were opposed to the Supreme Court stepping in to rescue the system. The biggest complainers about the AIA: patent attorneys who want a piece of the easiest action. Most of whom are Republican or “libertarian” or quasi-anarchist types. Go figure. Evidence? OMFG! It is as plain as the nose on your face, MM. [T]he AIA did major, major damage to… American innovation and to the American economy and to its people. I see two separate claims here: (1) damage to American innovation and (2) damage to the American economy. These are not the same things, so let us take the two claims each in turn. (1) Maybe the AIA did damage to innovation, or maybe it did not. Hard for me to say. Why, however, specify American innovation? It is not as if U.S. patents incentivize U.S. inventors, while EP patents incentivize European inventors, and Israeli patents incentivize Israeli inventors (etc). U.S. patents incentivize innovation around the whole world. If the AIA damaged innovation (I see no evidence of this, but I am open to reading something cited to me), then it damaged it worldwide. There is nothing about the AIA that would give a particular advantage to (e.g.) Japan over the U.S.
(2) The idea that the AIA damaged the U.S. economy seems to me presumptively false. Here is U.S. GDP growth and here is the U.S. unemployment rate. The AIA was signed into law in 2011 and took effect in 2013. Do you see any inflection points in either of those data series around 2011–2013? I do not. Maybe it will take a while for the effect of the AIA to show up, but to say that it “did major, major damage” seems a much bolder claim than any evidence currently on hand can support. Your analysis on the first claim is not complete. For example the pre AIA system may have had a positive advantage for American innovation and the AIA may have removed that advantage. Sometimes something simply said gets to the crux of our failing patent system. Why did we ever abandon our national system for United Nations and EOC world view on inventions? American inventors can’t make a buck even in these prosperous times. It is a world game and the international corporations (mostly US) are gaming the system. Take the Nautilus case. In striving to separate structure from function, it almost ignored the human operator. Take the simple structure, a box with a handle. Handle is structural but inherently functional, requiring inherent reference to the human hand. The quest for form over function has debilitated the patent system and made the forum less desirable for a creator than one for protection by copyright and/or trademark. As commenters like to say, so sad. Richard, you and I agree in the overall worldview. I do not agree with you on Nautilus. Well, for structural limitations, and limitations is what it is all about today, in Nautilus it was ultimately reduced to structural limitations of range. In the device were hand grips. Inherent in the range of the sensors was the human hand. Again, is “handle” in the now way of the CAFC on means plus function claims, which restricted claim language to the equivalents described (which totally ruined the concept of clear and concise in patent drafting) structural or functional? Richard, the problem I had with Nautilus principally was that there was nothing in the specification that taught anybody about what was actually necessary in the apparatus to balance signals such that the apparatus “as sold” would infringe. There was testimony by the inventor in the reexamination that in the factory they did a number of things to the apparatus in order to balance the signals, including adjusting materials, adjusting spacing of the electrodes in each handle, making them different depending on hands, etc. The Federal Circuit opinion that one of ordinary skill in the art would know how to balance the signals from this evidence to me is simply incredible. There is no evidence, for example, of what spacing in a particular apparatus having certain electrode materials and circuitry would actually work for the population it was sold to. In effect, the claim was construed on balanced signals regardless of how one did it even though the inventor did not describe any technology for balancing the signals. Is that a proper test of definiteness where the claim purportedly is to particular structure? Incredible? You underestimate the understanding on one skilled in the art, not just “ordinary skill in the art,” a far lower bar. We definitely are not communicating. Richard, let us summarize the situation: the specification describes an apparatus and a circuit that is identical with the prior art. The only thing that the specification disclosed that was not arguably disclosed in the prior art was that there was an unwanted signal that could be eliminated by feeding that signal from respective electrodes into a circuit that subtracted one signal from another. But again, the structure and the circuit were identical with the prior art. Therefore one must presume that the prior art structure and circuit, being identical, did exactly the same thing as did the structure and circuit disclosed in the specification of the patent. Now the inventor testified that they did numbers of things in the factory, stuff not disclosed in the patent, that combined, effectively eliminated the unwanted signal. For example, they change materials. Materials of what? From what to what? You gotta be kidding me. The secret to the invention was not disclosed. Effectively what happened here was that the inventors may have discovered that the source of the error in the prior art systems was this unwanted signal. But all they did was describe the exact same structure and circuitry as in the prior art; and then claimed that the signal is eliminated without disclosing anything about how to eliminate that signal if the prior art structure, which is identical, did not automatically eliminate the signal. One would almost think that they filed the application before they conducted any experiments on how to eliminate the unwanted signal. That may be the reason that they could not describe what they did in the specification because they did not know how do eliminate the signal when they filed it. I find is whole Nautilus case extremely unsettling. Yes, the whole Nautilus case is extremely unsettling. You are arguing details that should have been resolved in the district court case. I could go back and review the case, and may as it doomed a case involving “finger controls,” in which I was involved. I am expressing my opinion on disturbing trends that have turned emerging inventors away from the patent system. This is from my experience as a practitioner and inventor. Perhaps that’s why my avatar icon has no eyes. At least you have one eye open, and apparently a large open mouth. No offense intended, as I enjoy my periodic discussions and you certainly like to engage. They aren’t property rights. They are public rights. Until Congress changes the actual law…? The determination of whether something is a public or private right is a matter for the judiciary and the judiciary alone. If Congress had this power, everything would become a public right and judiciary would exist in name only. For starters, Stern v Marshall. Also, think of it from the standpoint of common sense: what would happen if Congress had plenary authority to determine whether a particular cause of action belonged to it? Did the Framers caution against such power? Except for the fact that our Constitution expressly designated patent law to the single branch of the Legislature, you mean? I believe that was one of the DOJ’s arguments in MCM or Cooper. Perhaps – but denial of cert is not the same as an argument actually being refuted with a case holding (as I am sure that you are aware). Is your point that you agree or disagree with the DOJ’s argument? My point is that denial of cert is NOT a view on the merits – and cannot be presumed to be so (as you seem to want to do). I always liked the term “incorporeal property rights.” Worked for me. But, let’s face it, game change. (So how does IBM secure 8000 patents in a year?) Public rights? That wasn’t the original game plan. Totalitarian systems inherently quash innovation far more than the relative merits of any intellectual property regime ever could. Central planning hates innovation because it hates bottom-up change (driven by politically powerless actors) and it hates and punishes failure. Without failure, real progress is impossible. In a planned economy, there is no environmental impetus to encourage survival of the fittest and adaptation to failure, which is the essence of the incentive (not patents sorry to tell y’all ) to innovate. Patents are surely very important once conditions for innovation are in place, in order to encourage larger and longer term investment, but without business competition, patents are essentially a formal nullity because winners and losers are chosen on a purely political basis. But we should also recognize that the cold war harmed us plenty. We are basically a second-world nation because of the unimaginable expense and non-democratic nature of the struggle- it just took 30 years longer for the cracks to really show than it did for the USSR. If you have never listened to this linked item in it’s entirety, you should. It’s one of the most important speeches in the history of this country, and sadly, his foresight was ignored. Watching a real man and real President speak like this shows, like little else, how expensive that cold war really was. But Martin: the Cold War was when America was great! All we need to do is create another nuclear arms race. It takes a lot of robots to build nuclear bombs, and a lot of people to fill out the online forms to have those robots shipped in from Korea and Japan. You know what means: Jerbs! Jerbs! Haven’t viewed the link yet, but you might want to think about the phrase “Necessity is the mother of invention” when it comes to the necessity engendered by war. But to say that the phrase “war is h311” does not have meaning (it does), but to ig note what happens to invention in times of war is to be far too Polly Anna. This is a small point, but “second-world nation” does not mean “one step down from a first world nation.” Alfred Sauvy coined the terms “first world,” “second world,” and “third world” to describe the cold war political alignment. The first world was the set of countries aligned (in broad philosophical terms) with the U.S. political/economic model. The second world were the Soviet aligned states. The “third world” was everyone else, with the U.S.A. and U.S.S.R. fighting each other to pull countries out of the “third world” category and into the first or second world categories. In other words, to say that “[w]e are basically a second-world nation…” is to say that we are basically Soviet-aligned. It seems kind of self-contradictory to say that we spent so much money fighting the Soviets that we are basically Soviet-aligned. Read the news much in re: alignment with Russia? I didn’t use Second World as meaning “less developed”, I meant it in the sense “less democratic”. Ah, got it. In fairness to myself, you did not make that point as clear as possible when you wrote “because of the unimaginable expense.” That makes it sound like you are making an economic—not political—comparison between the contemporary U.S. as it exists and as it would have existed but for our cold-war struggles. Now that I understand your meaning, however, I agree. Our cold-war struggles eroded our democratic traditions somewhat, and our current “war on terror”(heaven only knows what that means) efforts have escalated that erosion considerably. Greg they used to call the study of economics “political economy” because money and politics are inextricable. We still have a certain dynamism, but we are pretty close to a one-party state right now, and getting closer all the time. anon, the USSR did not innovate much during the cold war- or WW2, because they were still a totalitarian, planned system despite the war. It’s the central planning PLUS the totalitarianism that crushes innovation, see c.f. Germany, who were extraordinarily innovative during the war and not centrally planned until the final stages. Speer did a heckuva job with what he had. The space race, on both sides, was essentially founded and extended on German war work. Otherwise, the USSR just slavishly copied the West as best they could. Martin, a viable patent system must allow the small inventor/startup to go into court against a major company, perhaps owned and operated by the state, and win damages and an injunction. That is never going to happen in a totalitarian state if for no other reason that there is no viable court system in such a state. To the extent that we undermine the ability of the startup or individual inventor to enforce patents reliably against big companies, we undermine the very purpose of the patent system and become much more like the social systems of the USSR and China. Ned I agree, but I also must add that BOTH sides of that coin must be equally respected. For every inventor who can assert her rights, how many effectively innocent small startup defendants being destroyed by patents that never should have issued should we accept as collateral damage? The cash value of a full blown patent litigation exceeds the lifetime earnings of most people, sometimes by a factor of 2x or 3x. If the intrinsic economic value of a small invention is a few million dollars, unfettered infringement may be cheaper for everyone than the patent right itself, including for the inventor. After lots of reflection I still believe that information consumed by human beings is always a 100% abstract phenomenon, and further, that litigation procedure must be modified into a two-phase schedule where the invention is properly construed before 102/103/112 can be applied. The Markman procedure is the perfect vehicle for that purpose and should be expanded to cover the Alice inquiry- which when it’s boiled down is simply an attempt to locate the invention within claims and within some art or endeavor. That step would reduce by as much as 75% the cost/damage of litigation and give both litigants a realistic handle on where they really stand. The AIA could be repealed root and branch tomorrow and it would not really change anything; a full blown IPR is still $300K – a preseason to the preseason of district court. Yout whine is not compelling. Said every self-satisfied have to every aggrieved have-not, ever. Someday in some situation you will need compassion anon, and the sad thing is you will probably get it, because most people aren’t like you. I have nothing against compassion. I do have a thing for the Rule of Law, though. Martin, if the patent should never have issued in the first place, and if this is clear, then a judge should throw the book at the big company who brought suit for the purpose of making an example out of the small fry. I say “making an example” here because I do not believe that anyone would seriously pursue a small company for any other reason. Ned big law firms and big corporations aren’t going to just roll over for some district judge, many of whom (being normal human beings with a range of ideologies) who have no interest in acknowledging that any but the most emphatic abuse may have been engendered by either the system or their own courts. Look at the path of S 285 jurisprudence over the years- any good lawyer can find a colorable argument for reasonableness holding an issued patent, no matter how stinky that patent may be. The underlying problem is the lack of procedural mechanisms to sort the actual situation before $1M is spent. Maybe automatic interlocutory appeal on 101 motions might be a good idea…..
Martin, if the amount in controversy is itself necessarily small, and the litigation being pursued by one side is more along the lines demanded by the big case, I would think that a District Court would be amenable to a scheduling order that reduced litigation expenses provided that the counsel for the defense did not itself do things to drive up litigation costs. However, speaking of travesties, we once had an employment case where the fired employee was demanding $8000. Our big firm litigation counsel suggested that they could litigate and get that amount down. Well we authorized the firm to go ahead. At the end of the day, we settled for around $8000. But the bill sent to us by the firm or its litigation costs was for $300,000. I can only imagine how much the employee had to pay his counsel. I would suggest that there are counsel on that can litigate an $8000 employment case for a lot less than $300,000 and that the basic failure here was using our big firm litigation counsel. One might ask Leon Hirsch to comment. He it was who acquired from the USSR the patent rights on surgical staplers invented in Russia and with them founded United States Surgical Corporation which became Covidien, which then absorbed Medtronic. He might say that it is the entrepreneurial impulse and mindset in the USA that makes the difference. Recall that countries like Germany and Japan have more patents per head per year than the USA and that this comes from the Employee Inventor Laws that Germany first introduced during the years of the Third Reich. recall what the courts in Japan awarded to the inventor of the blue diode. How many hundred million Yen was it now? I forget. You tell me in what ways the USA has a “stronger” patent system than the ever patent owner friendly society that Germany is today, which enjoins infringers years before the validity of the patent is adjudicated. I’m sorry but G Dolin is just another example of the sort of person Simon and Garfunkel sang about, namely, one who sees what he wants to see. And disregards the rest. Disruptive innovation goes hand in hand with strong patent systems. Don’t you mean the Beatles? I think the title of the S&G song in which the lyric appears is something like “Only Living Boy in New York”. What Beatles song do you have in mind? Thanks; will have to give it a listen. Clearly we need more car drivers to do more “real innovating”. There must be some genius out there who knows how to drive in the rain, right? Or who can navigate through a construction site? Help us “real innovators”! Our awesome robot car future depends on you! Nissan’s R&D chief believes the truly driverless car—something many carmakers and tech giants have promised to deliver within five years or fewer—is an unreachable short-term goal. Reality: one; robots: zero. Even a system that could handle 99 percent of driving situations will cause trouble for the company trying to promote, and make money off, the technology. “We will always need the human in the loop,” Sierhuis says. But Nissan has a solution: a call center with human meatbags ready to take command via remote control. Wowee zoweee! The answer is a “call center” where human beings provide “remote assistance” to the robots! Nobody could have predicted … Any bets as to whether Nissan or anyone else has a patent or application that claims “using a human to drive a car remotely”? Its probably held by the Jet Propulsion lab. In any event, they have been doing it for several decades. A method and system for intelligent control of external devices using a mammalian brain-like structure having three parts. The method and system include a computer-implemented neural network system which is an extension of the model-based adaptive critic design and is applicable to real-time control (e.g., robotic control) and real-time distributed control. Additional uses include data visualization, data mining, and other tasks requiring complex analysis of inter-relationships between data. Additional uses include data visualization, data mining, and other tasks requiring complex analysis of inter-relationships between data. 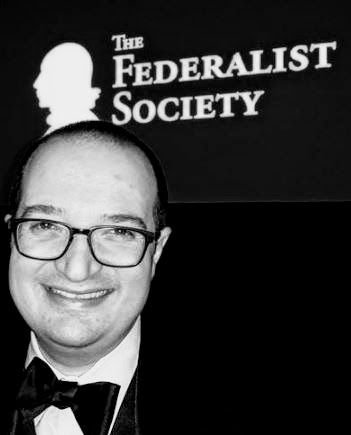 Think of the Federalist Society, I am surprised that this blog has not mentioned the recent “Courts vs. Congress: What is a Patentable Invention?” panel discussion at the Federalist Society National Lawyers Convention. It was an interesting discussion, especially the remarks by Mark Perry (lawyer for CLS Bank in Alice). Perry offered the supposition that the Court has taken three recent 101 cases (Mayo, Myriad, and Alice), one for each of the three categories of exceptions, and that they now consider each of those exceptions done and dusted for the foreseeable future, which is why subsequent 101 cert petitions are all being swatted down. I find that supposition troubling but plausible. I would be interested to know what others think on that point. Perry offered the supposition that the Court has taken three recent 101 cases (Mayo, Myriad, and Alice), one for each of the three categories of exceptions, and that they now consider each of those exceptions done and dusted for the foreseeable future, which is why subsequent 101 cert petitions are all being swatted down. I think that’s absurd. The reason the 101 cert petitions are being swatted down is because the patents are junk and the Supremes have no interest in puffing up the balloon. I think the Supremes would be happy to take a substanceless CAFC decision like McWrong and slap some sense into it. I think he makes some fair points about creating the right incentive in the patent system. But I wonder if the “weak” rewards in the USSR was indicative of an economy that couldn’t afford short-term social cost of granting a monopoly for the long-term benefit of spurring invention. I prefer the American system to that USSR, in part because I believe we can bear the costs in the short-term. But I think developing economies (or the weak ones like the USSR had) should not emphasize a “strong” patent system, or any “strong” intellectual property system. It’s important to an economy, but it is not the end-all be-all. This is an important consideration when we think of international patent law and the effort to harmonize it. It’s not like if the USSR had a “strong” patent system then the Soviets would have “won” the cold war. But I think developing economies (or the weak ones like the USSR had) should not emphasize a “strong” patent system, or any “strong” intellectual property system. Other than the fact that I dislike “strong” even with sneer-quotes around it, I think that this is a good point. I frequently find prosecution in developing economy jurisdictions to be frustrating, because you pay so much to get so little, and endure such red-tape and sandbagging in the interim. If I put myself in the shoes of those governments, however, I realize that they are simply doing what is best for their own citizens. Market exclusivity in the US/EP/JP are enough incentive to motivate an enterprising inventor. That means that developing economies are well-positioned to free-ride off the innovations that US/EP/JP patents provide. If you can free-ride, why wouldn’t you? The main reason most of us choose not to mooch when we can (if we do so choose) is pride, but pride does not pay the bills, or put HIV meds in the hands of a poor country’s poorest citizens. Better to swallow one’s pride, and take the free-ride, at least until one’s economy is grown to the point where one can afford to pay full freight and not worry that this will mean that the poorest go without necessary medicines, or suchlike. Japan has “market exclusivity” to a point. It’s novelty requirement is much lower, and you only get a patent for what you actually invent, not what you claim as your invention. The effect is that the scope of the patent is much smaller, and you basically HAVE to cross-license to “practice” your patent. Which means, there isn’t really market exclusivity. The incentive in Japan, then, is to make small incremental changes rather than major ones. The EU only grants patent to what you actually invent, as well. They also have practice requirements. J, I was told by folks in Japan years ago, including one at a high business level, that the primary objective of the Japanese patent system is [defensive] to protect their right to export products, because exports are vital to Japan. Hence a JPO system with low fees for filing and publication, many application never examined, applications mainly written by engineers, and a relatively small percentage of applications further filed in other countries. Paul, outside of drug industries, startups, and University technology transfer organizations, very few business models rely on patents for their success. What most businesses do require is that they be able to carrier out their business plans without interruption by patents. Thus big business invested in patents largely for defensive purposes. This is not particular to Japan. I was told by top people in Philips that the reason Philips invested so heavily in patents in the United States was to protect access to American markets. They discovered, back in a comment that they could not manufacture and sell things like electric light bulbs into the United States because of heavy patent protection by American companies. Thus they needed to protect their own inventions with patents in order to provide a basis for crosslicensing that would provide access. But in America, and in England, and in Germany, patents on new inventions by the likes of Morse, Edison and Bell, individual inventors, have been the foundational source of vast new companies. That model has not been repeated anywhere else in the world by anybody. The reason I believe is that everywhere else, the patent system is rigged in favor of big companies. There is a Chinese poster on another blog that was bragging about the improvements in the Chinese patent system. He was pointing out that foreign applicants were increasingly filing in China. But when I pointed out to him that there would be little incentive for Chinese individual to file and obtain a patent, and invest in developing a new business based upon it, unless he could reliably enforce that patent against major Chinese companies. To this observation he had no response because he knew, as anybody knows, in political systems like they have in China no individual is going to win against a major Chinese company. There really is no independent judiciary. I still maintain that we have a best mode requirement. Just because it can’t be an affirmative defense in litigation, doesn’t mean you can get away with it. If a party hides its invention, it will either be deemed inequitable conduct or deemed abandoned and not part of the claimed invention. I am still waiting for a case to say this. Best mode cases were always fairly rare, so it will likely be a while for such a case to surface. I am inclined, however, to agree with your supposition and will be interested to see what happens the first time someone tries to make this argument. Greg, I think it is obvious that the patent owner in Nautilus completely hid the crown jewels. A strong patent system is vital to ensuring continued economic flourishing. I agree with nearly every substantive point that Prof. Dolin makes in the linked essay, but the quoted sentence trespasses against a pet peeve of mine. The word “strong” is almost never helpful, and invariably creates more confusion than clarity. What does it even mean to say that a patent system is “strong”? That it creates “strong” patents? That “strong” people avail themselves of its protections? That it creates “strong” incentives to innovation? The last of those three seems more likely than the other two, but even then, what does it mean to speak of “strong” incentives? Is a 20 year patent term a “stronger” incentive than 15 year term? Does a system with a non-obviousness requirement provide “stronger” or “weaker” incentives than one without such a requirement? A million people can use the word “strong” when talking about patents and mean a million different things by the word. Clarity of though requires clarity of vocabulary, and “strong” achieves the very opposite. Serious thinkers* should purge “strong” from their vocabulary when they sit down to write. I think we both know what Prof Dolin means when he says “strong patent system.” He means that patents for “little guys” (e.g., patent attorneys working in their spare time scrivening claims designed to extract money from well-heeled targets) are easier to get and easier to enforce, i.e., they are more difficult to take away than at present. In other words, every patent right is “stronger” and the rights of every patent owner are “strengthened” relative to what they are now. As long as I venting my spleen, I will say that the term “anti-patent” is equally fatuous as “strong.” Whenever you feel tempted to disparage something as “anti-patent,” you should pause and ask yourself what is the real evil you perceive with the point you are attacking. To say merely that proposition X is “anti-patent” is to say nothing at all. I call out Greg’s “anti-patent is nothing” line as pure B$. To say merely that proposition X is “anti-patent” is to say nothing at all. It says a lot about the speaker, which is really, really, really important if you want to be a part of the club of The Most Important People Ever. One could even argue that some of the most effectively “anti-patent” attorneys have been those who have convinced clients to take patent cases all the way to the Sup. Ct. that were so weak that even the most conservative and most liberal justices have repeatedly joined in unanimous opinions against them, prejudicing more deserving patent owners from obtaining cert. Lol – Ned comes to mind. Would you know what it meant if it referred to a weak patent system? I think that would be one where patents were difficult to enforce, one where damage claims were limited and difficult to collect. In other words, a system where infringers could just laugh and shrug off your cease and desist letter because they know it would cost you more to file suit than you could ever hope in being awarded would be a weak patent system. A strong patent system is one having the opposite characteristics. If one means that systems with impartial judiciary’s are better than those where a “fix” is in, then one should talk about impartiality. If one means that a system with obviousness measured from an objective (“ordinary artisan” or “PHOSITA”) standard is better than one measured from a subjective standard (what was the inventor’s own knowledge and motivation), then one should talk about objectivity vs. subjectivity. If one thinks that a system with a one year grace period against applicant’s own disclosures is better than a system with an absolute novelty requirement, then one should talk about grace periods and absolute novelty. In other words, best to stick with specific policy standards and specific advantages or disadvantages of those specific policy standards. When one drifts off instead to talking about “strong” or “weak” protections, one simply brings needless confusion (or worse yet, deliberate obfuscation) into the discussion. Er, I meant “impartial judiciaries,” not “impartial judiciary’s.” I regret the typo. I haven’t clicked on a Washington Times link for fifteen years. But it’s not really too surprising seeing this kind of puff piece showing up on its opinion pages. Gosh, this all sounds so familiar. Making real entertainment for real viewers, no doubt. The biggest obstacle today in the way of a strong and healthy US patent system is the same obstacle that’s been in its way for the past twenty years: the granting of patents protecting “new” logic and “new” information. There are hundreds of thousands of junk patents out there that need to be expunged and that’s going to take years but at least we’ve got the beginning of a framework in place for doing that. The IPR system needs to be expanded to include subject matter eligibility challenges, especially in light of the CAFC’s relentless campaign to limit the scope of CBM proceedings. What is a logic patent? Is it anything like a logic copyright? MM, with courts increasingly holding patents on business methods and such invalid under 101 as a matter of law on the pleading stage, we hardly need IPRs at all to address this issue. In fact, courts can also award costs and attorneys fees, which are simply not available in the PTO. But I would agree in principle that the United States patent system has become harmful to the American economy since the patent office threw out the business method exception, and State Street Bank followed its lead. Patents that do not relate to technology do not require invention. All they require is conception. Many, if not most, are never reduced to practice prior to the filing of a patent application, but are meant to anticipate the natural flow of commerce. Thus they reward speculators who get out in front. And the Windmill Chase is on. You mean like Big Pharma, who never actually posses utility (aka, actual reduction to practice) prior to filing?